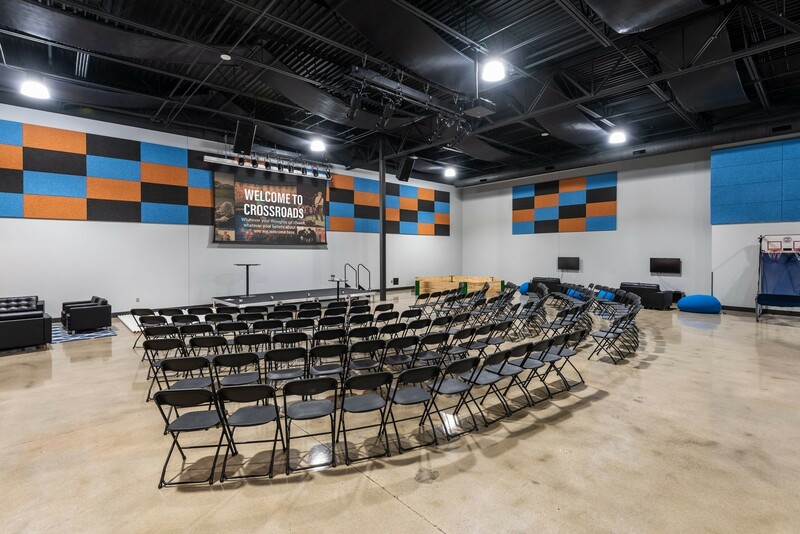 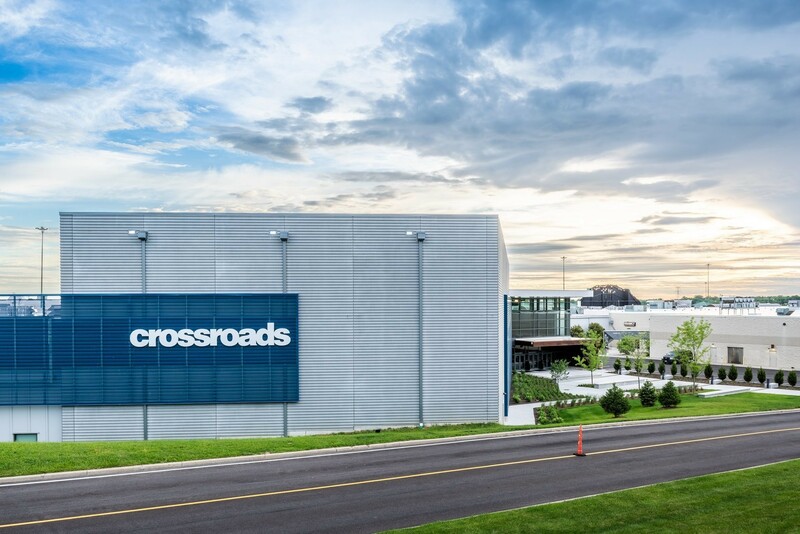 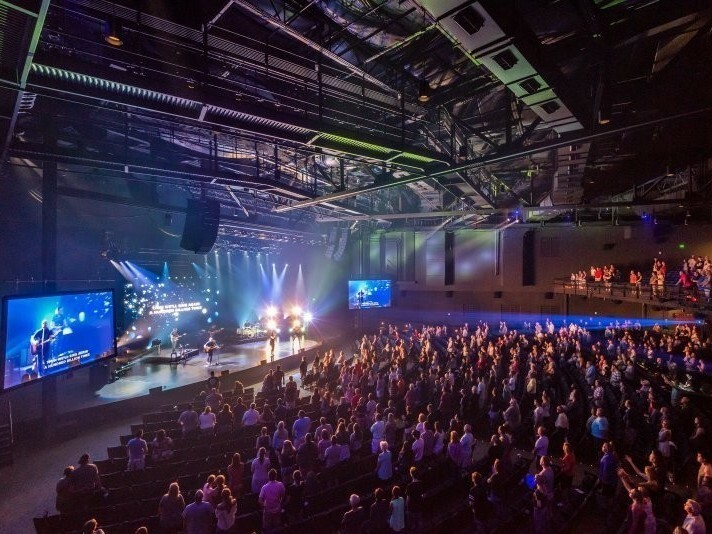 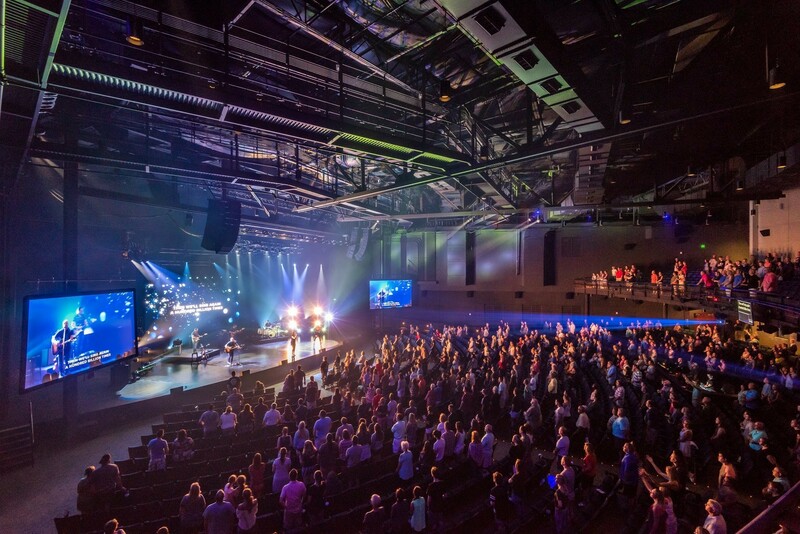 Crossroads builds 2,100-seat auditorium to accommodate growing number of congregants from the East Side of Cincinnati. 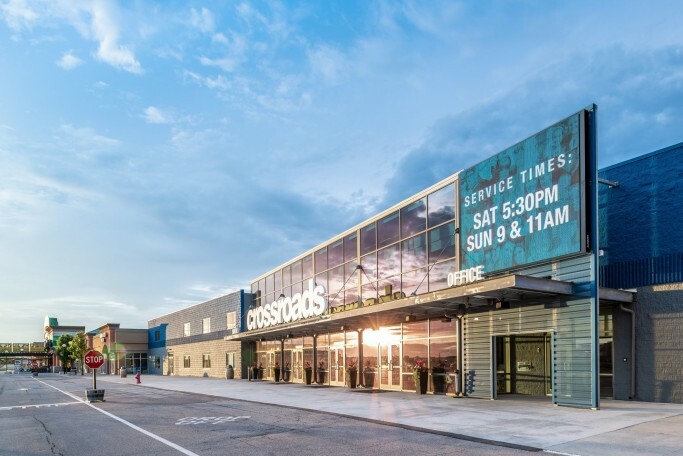 Since its inception, Crossroads' congregants from the East Side of Cincinnati have multiplied year after year. 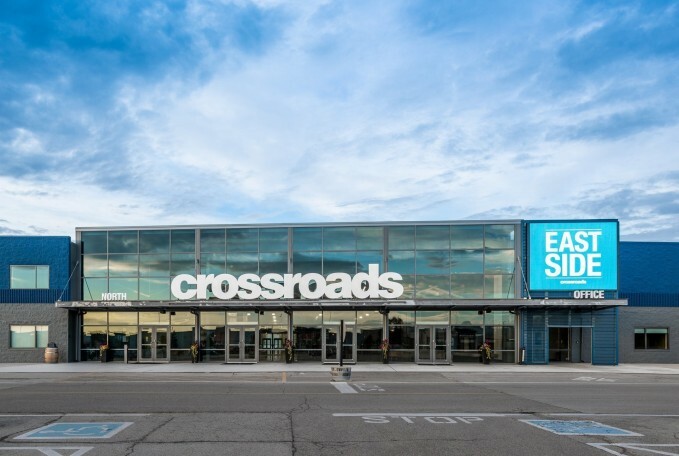 Over the last several years, we have worked with Crossroads to examine available properties for establishing a multi-site campus for the East Side. 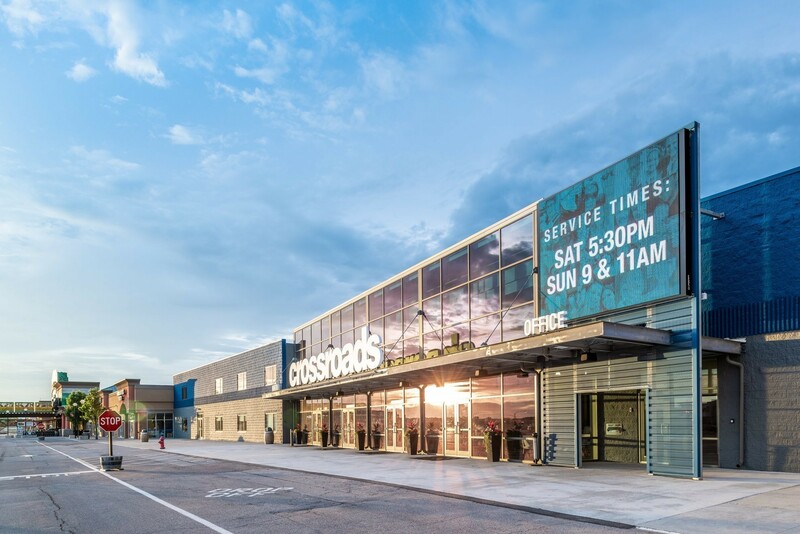 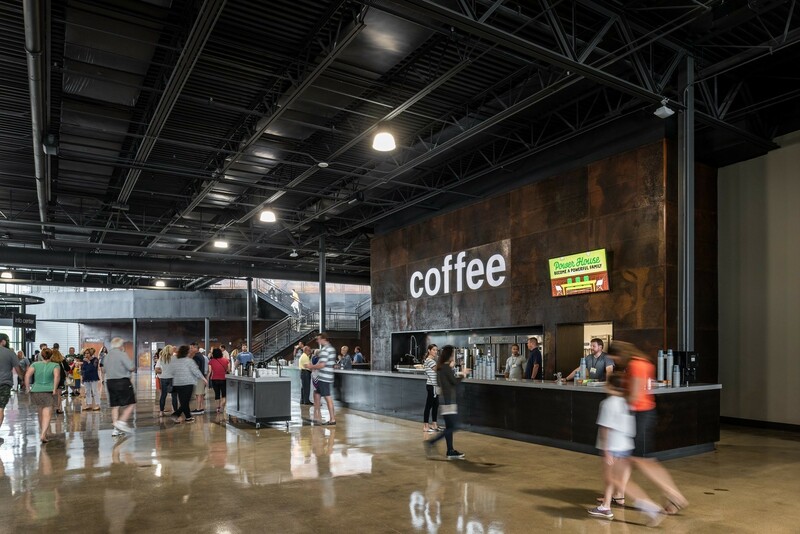 In 2016, Champlin helped plan an adaptive re-use of a vacant strip mall location in Eastgate for the newest multi-site location for the church. Our team developed numerous design options to work around the unusual shape, limited available space, and adjacency issues with existing mercantile tenants. The total building program required 125,000 SF with only 71,000 available in the strip mall. 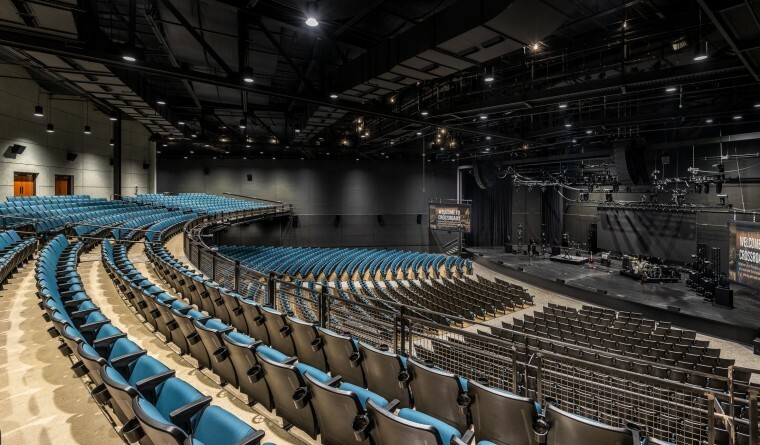 The final developed plan includes a renovation of the available center plus a 31,000 SF addition to house the new 2,100-seat auditorium featuring a balcony. The addition integrated precast concrete walls, which provide acoustic isolation for the nearby neighbors during services. 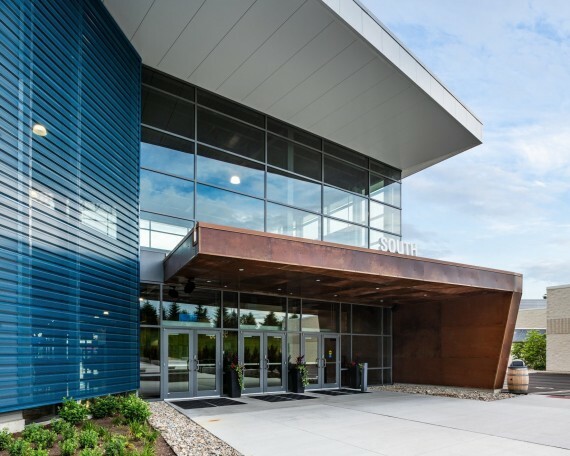 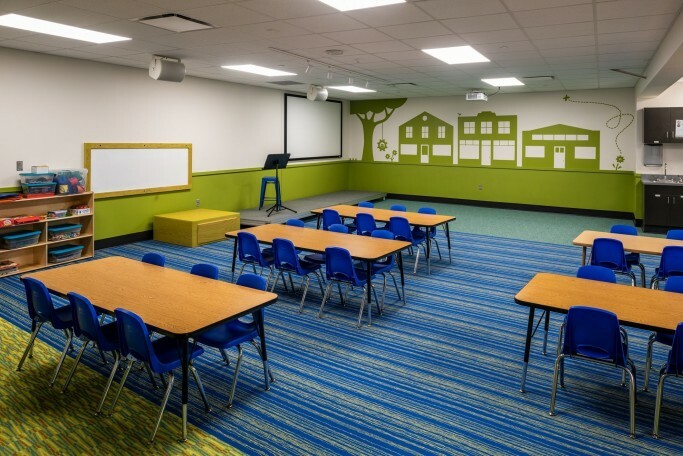 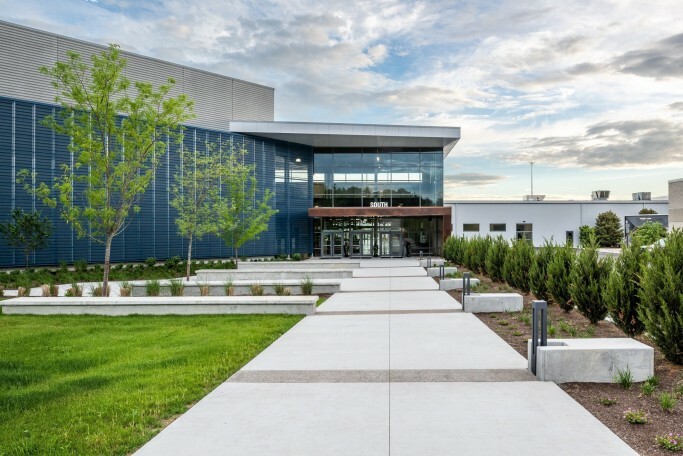 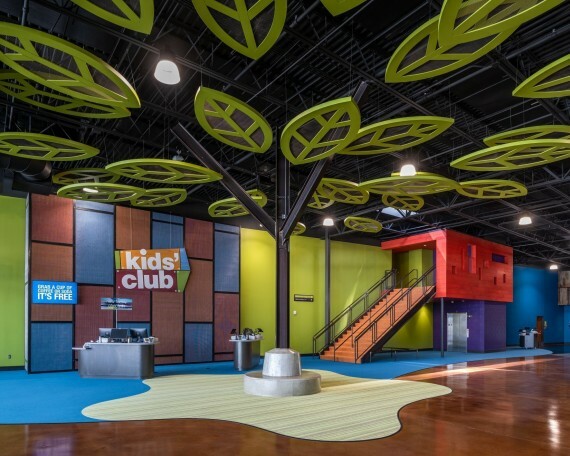 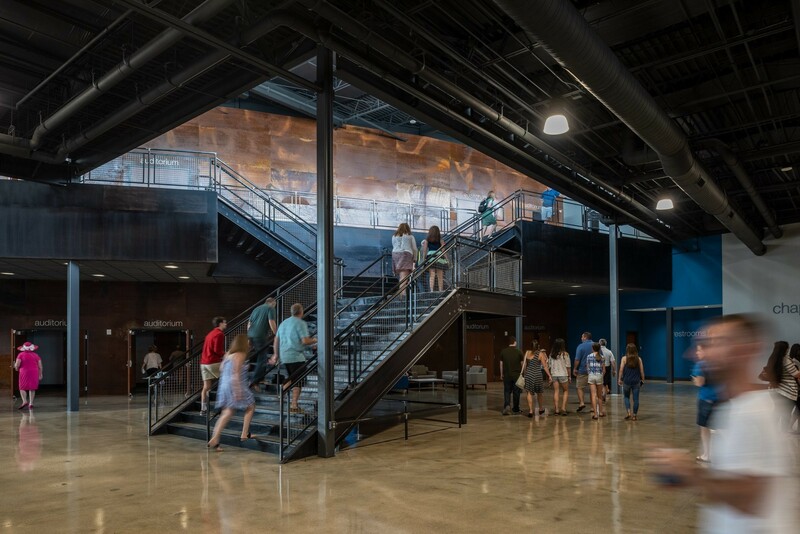 Aside from the addition, the size requirements for the new desired building program were met as Champlin creatively incorporated a 23,000 SF mezzanine space to the internal footprint of the building which made room for the 27 classrooms in Kids' Club for children ages birth to fifth grade. 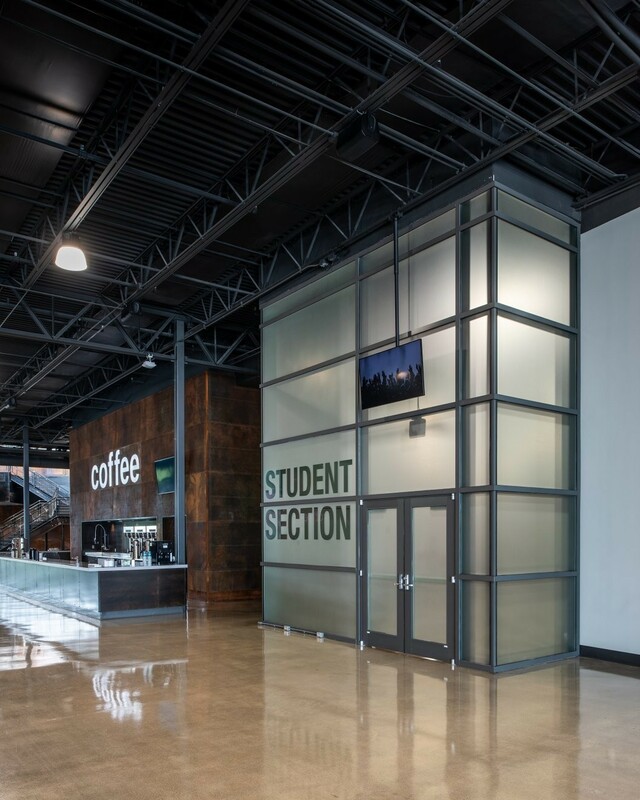 Other features include meeting/worship spaces for Crossroads' Student Section/adult group meeting rooms and classrooms. 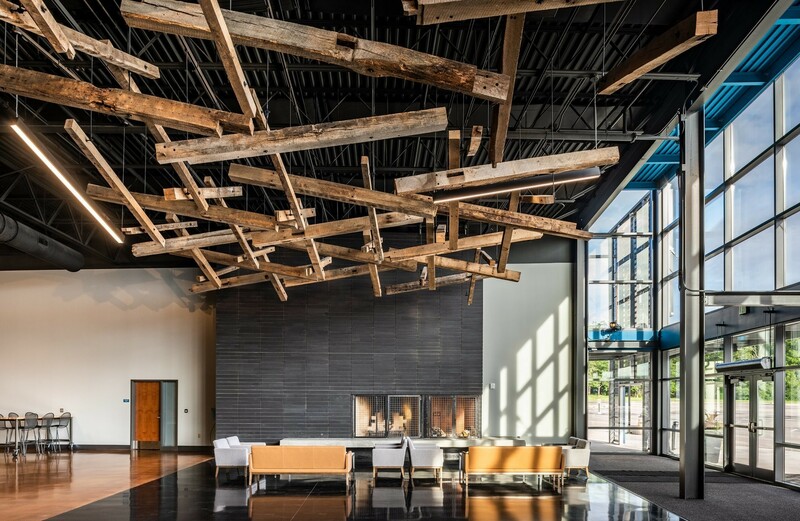 The atrium features an oversized wood-burning fireplace, café and a unique sculpture from the structural remnants of a reclaimed barn in the region. 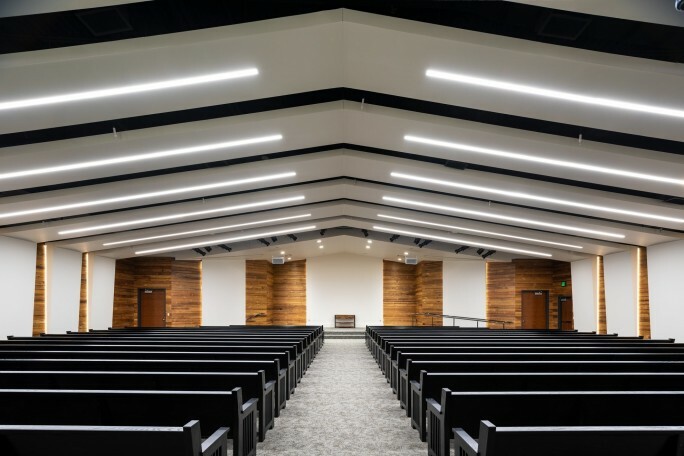 Other parts of the barn were repurposed and incorporated into the design as the finish material for the 400 seat Chapel. 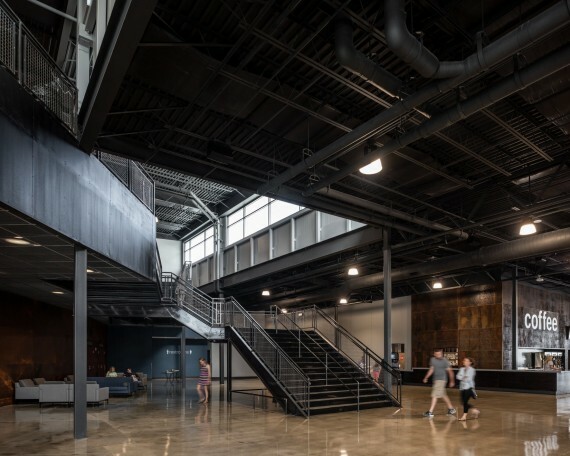 The overall design optimizes flexibility of space and allows room for future growth in this location, and the renovation and addition have been constructed with minimal disruption to the neighboring tenants.